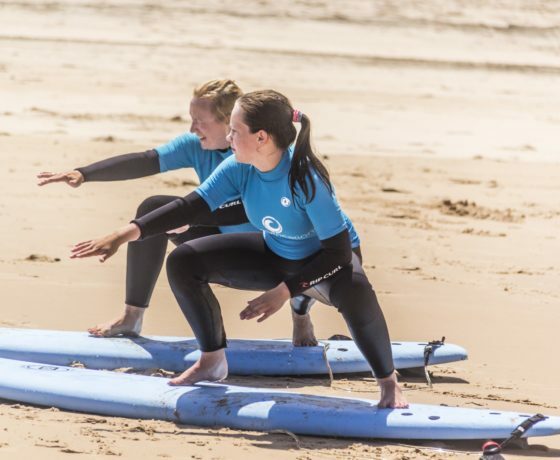 You’ll have a primary briefing to check your level, then our surf instructors will integrate within a group accordingly your level. From April to October: The arrival day can be any day. From November to March: Not available. 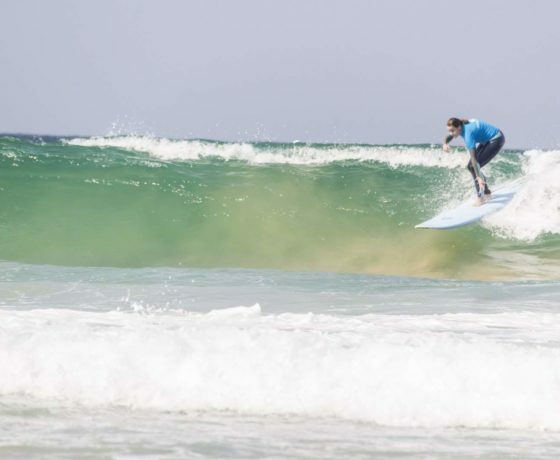 Are you ready to begin surfing some of the more exciting intermediate surf spots? 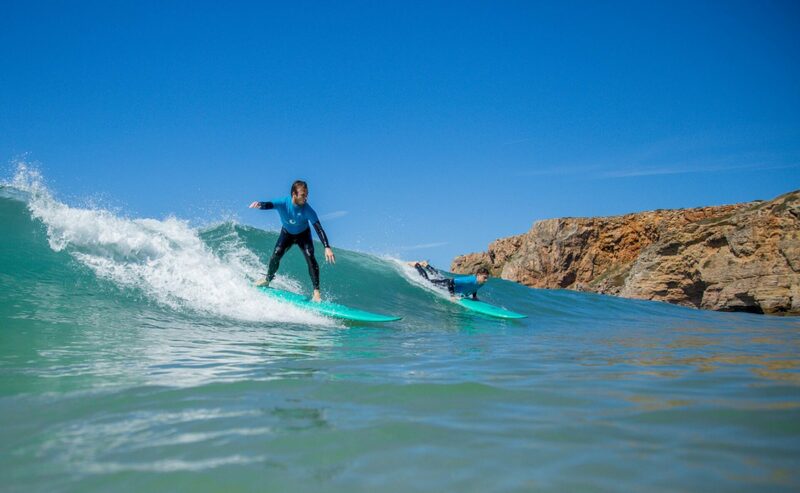 At Wavesensations Surf School our Intermediate Surf Lessons in Sagres focus helping intermediate surfers develop greater control in slightly more challenging waves and master the techniques necessary to generate greater speed and complete fluid turns. We leave around 9:30AM, in search of the best spot to surf. Every day, we will assess the place according the tide, wind, swell size and direction, the same way experienced surfers would do. The waves aren’t made by a machine, so they are not always perfect on the same beach, depending on the day. 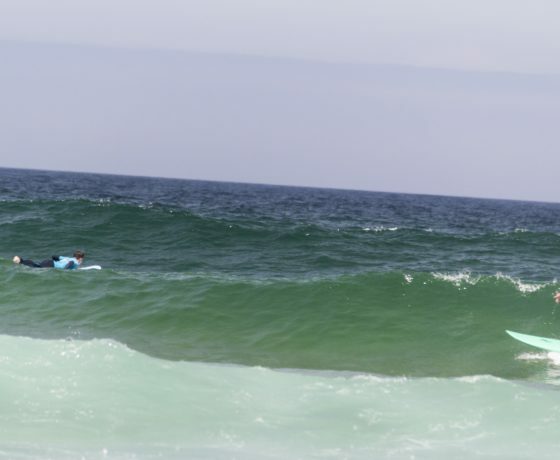 When we have assessed the right surf spot for that day, we will start with a short introduction and warm-up exercises. After 1,5 – 2 hours surfing in the water, you will be hungry, it’s time for lunch. Then, after this pause, we will start the second class of the day. 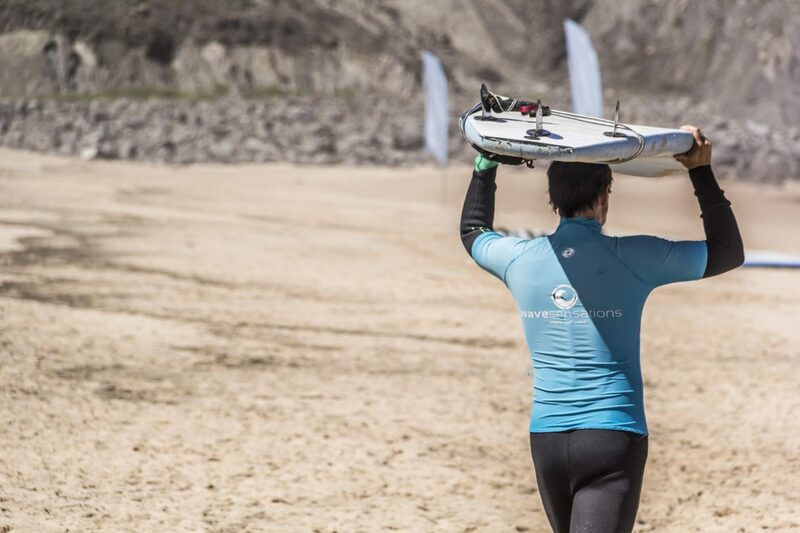 At the end of an entire day surfing, you will be tired, and your level of endorphins will be very high, so it will be time to go back to the beach and have a warm bath. Our team often organizes night tours to typical restaurants, where everyone is welcome. After an excellent dinner, depending on your energy, it’s time to either go for a drink in the bars or go to have a rest and get fresh for the next day! Merci à Sabine, monitrice exceptionnelle, engagée, enthousiaste, qui adore manifestement son travail. 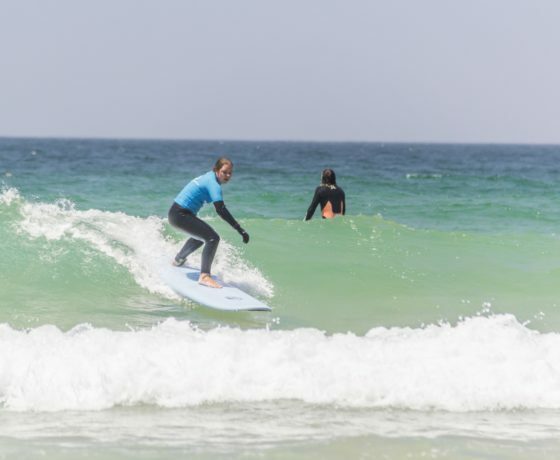 Merci Zac et Dom pour la qualité des explications techniques et le suivi des surfers. amazing experience with an amazing team! 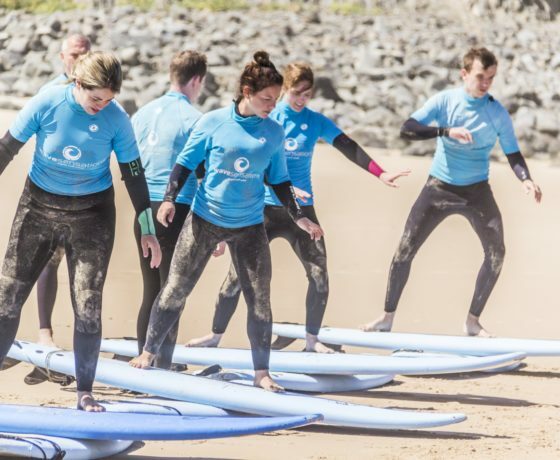 I really recommend this experience with them because are all nice people passionate about surfing and are always trying to let you feeling the waves in the best way possible! Such an amazing experience! 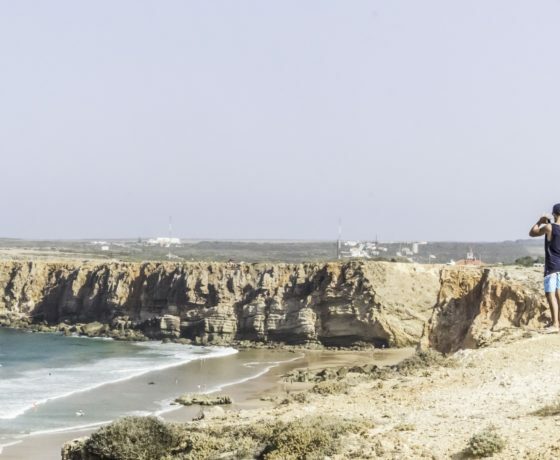 🌊🏄‍♀️The team is wonderful and sagres has very good waves for beginners in the summer. We’d love to do it again! 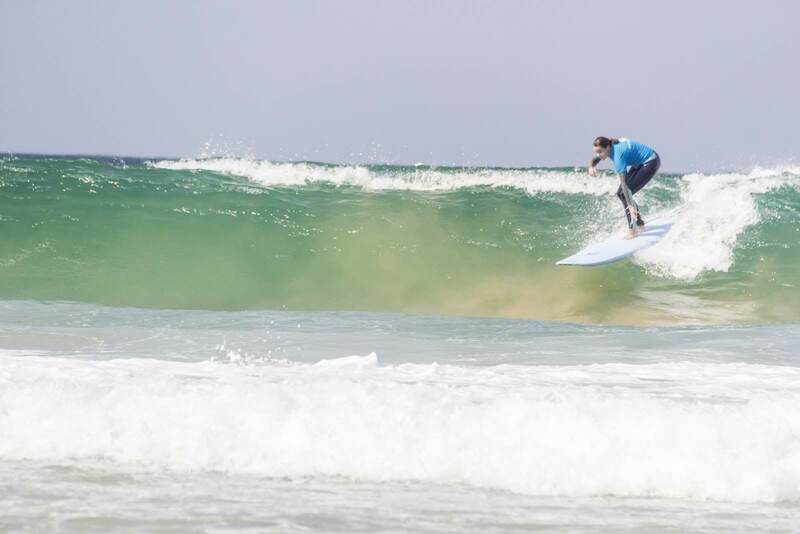 Just has a fab day in Sagres with Wave Sensation! 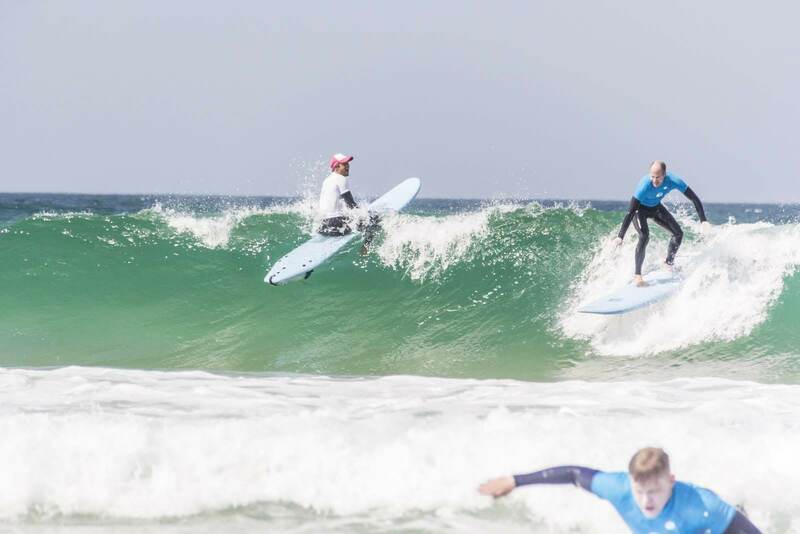 Great surf, great teaching, definitely keen to come back! Safety and professionalism are the always present at Wavesensations. This is even more true when working with kids. 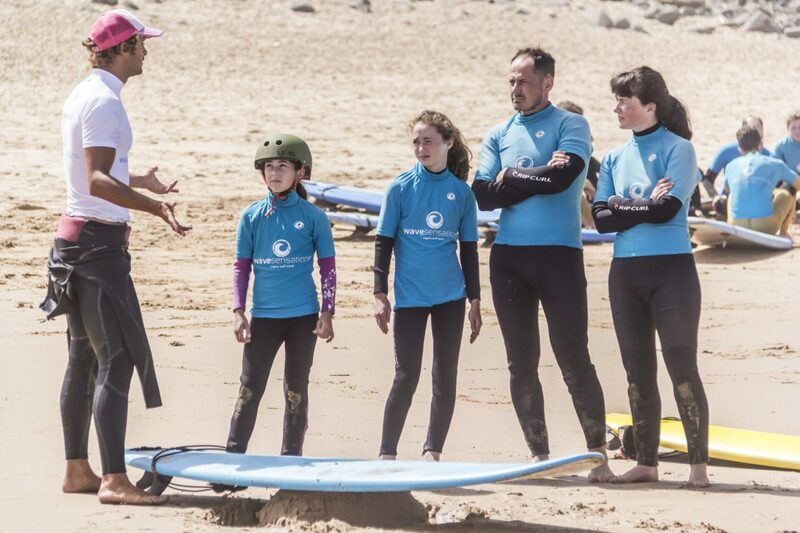 Under 8 — Minimum age for kids’ surf lessons is 8 years old. From 8 to 12 — Lessons are available if you can demonstrate your child’s swimming ability. 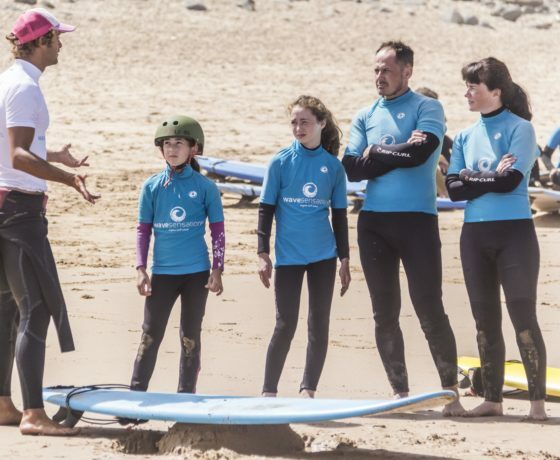 Please note however that we require one parent or tutor to be in the water supervising each child at all times, since our instructors will have other guests to attend to. 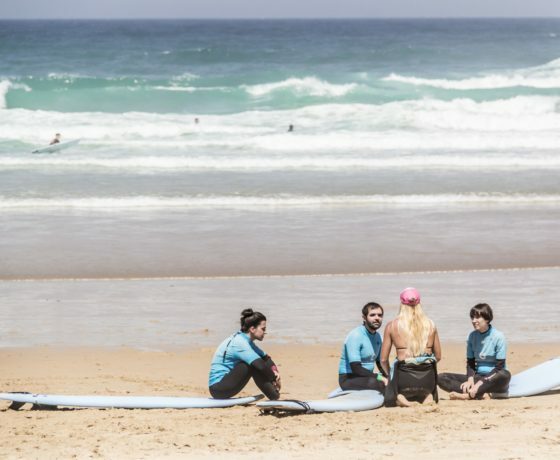 Tutors must remain in the beach at all times during your child’s surf lesson. They cannot join the same lesson while they are supervising the child. 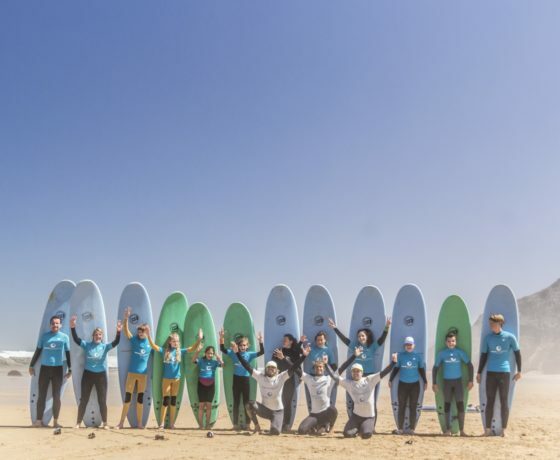 From 12 – 16 — Lessons are available with a parent or tutor supervising in the beach. The tutor(s) can join the same lesson if they wish. Why should you get this? Surfing is addictive. The better you surf, the more you love it. 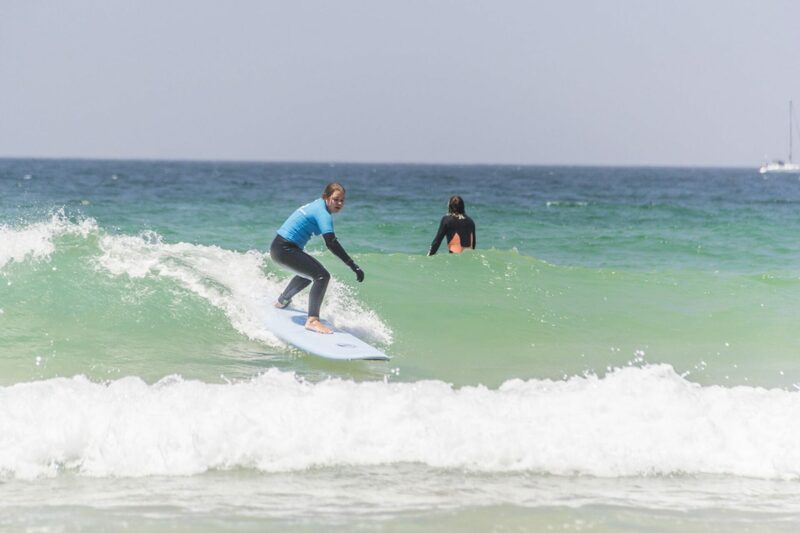 This coaching is designed to identify the important changes you can bring to your technique that will end up making a huge difference in your surfing, and the fun you have in the water! 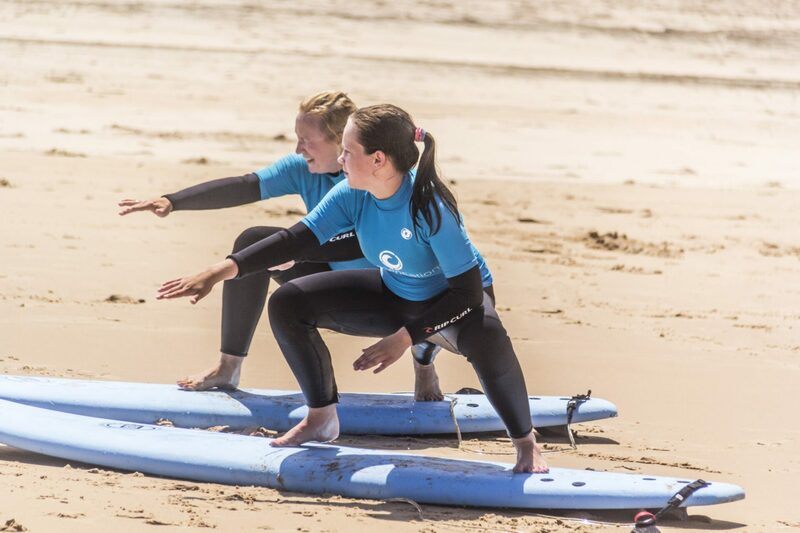 You will receive personalized tips on how you surf and what to improve. 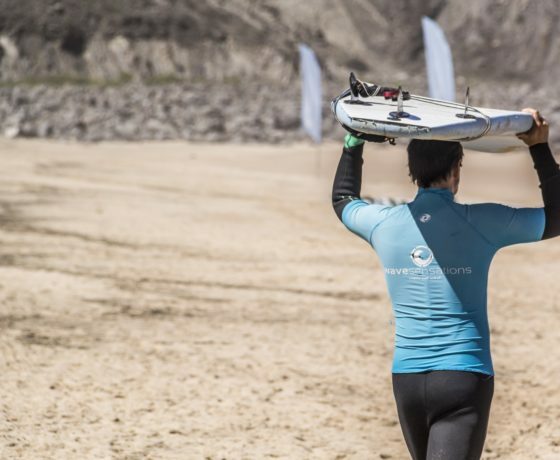 These can truly make a difference in many aspects such as the quality of the waves you pick, the speed you are able to generate, your agility on the wave, etc. 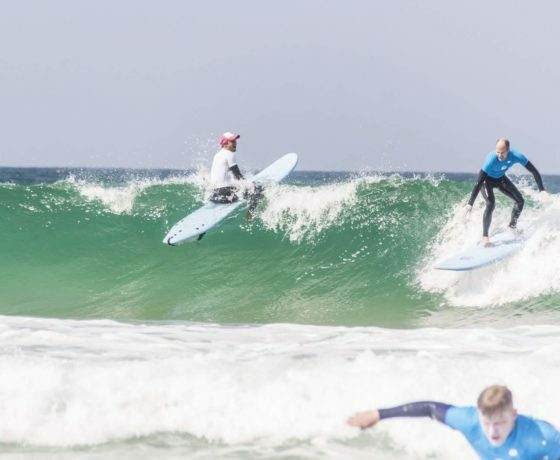 The main difference between Beginners and Intermediate surfers is their autonomy in the water. In order to benefit from Intermediate tips, you need to be comfortable paddling through the white water and catching unbroken waves by yourself. If this is still a challenge for you, you will benefit more from the Beginner Lessons. Best service, best accommodation, best instructors!!!! The best accommodation and instructors! 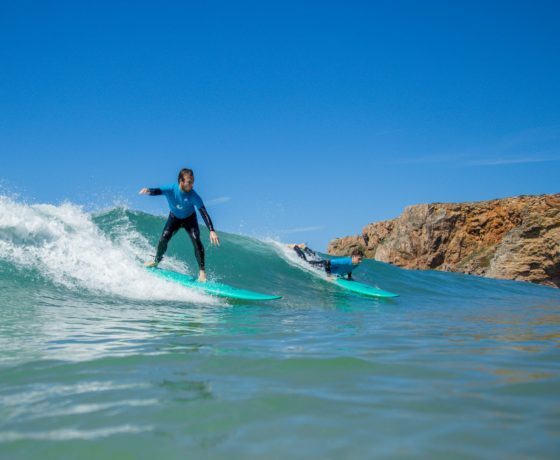 Best surf school in Sagres! Came here twice, 2016 and 2018, they did not disappoint. Carlos is the best instructor, will always make sure lessons are fun and educational. Alec Lawrance was also an amazing instructor there in 2016!Would definitely go back again. 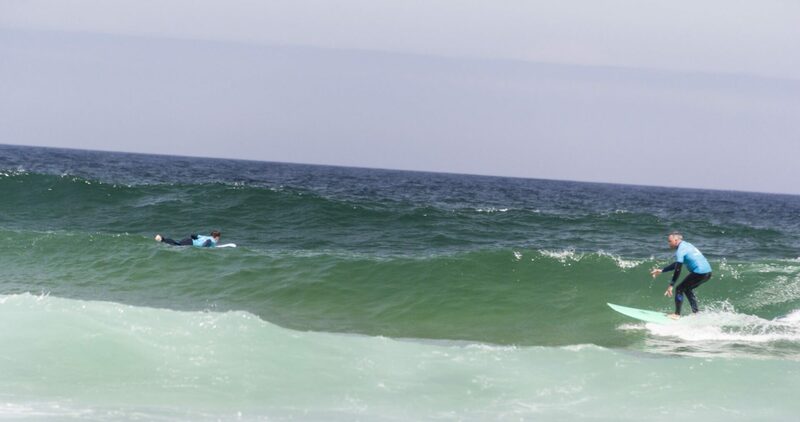 Had a great surf session today! 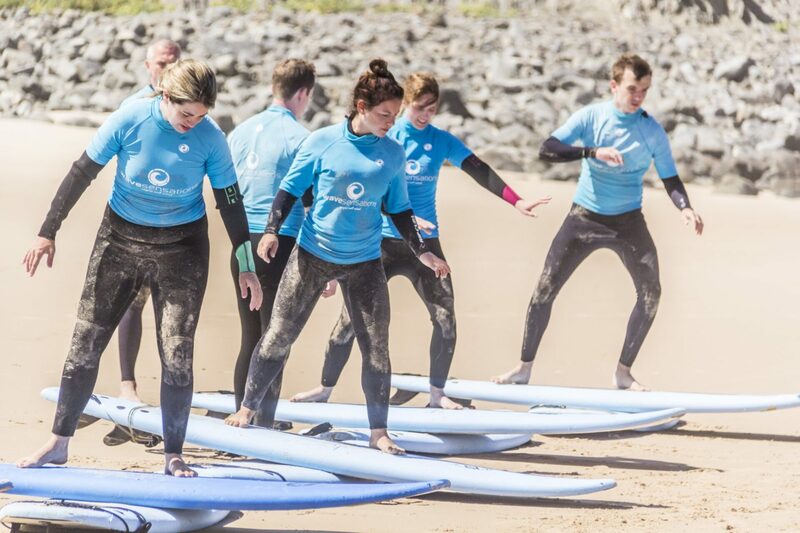 Thanks to the excellent instructors for working on our surf technique and showing us a wonderful beach. Super accueil, produits top ! Je recommande! Thank you for the wonderful surf day! We have received a lot of positive emotions and we want to come back again! Very good team! Carlos, Alec and Romeo are very competent instructors and also very organized! The beaches are amazing! 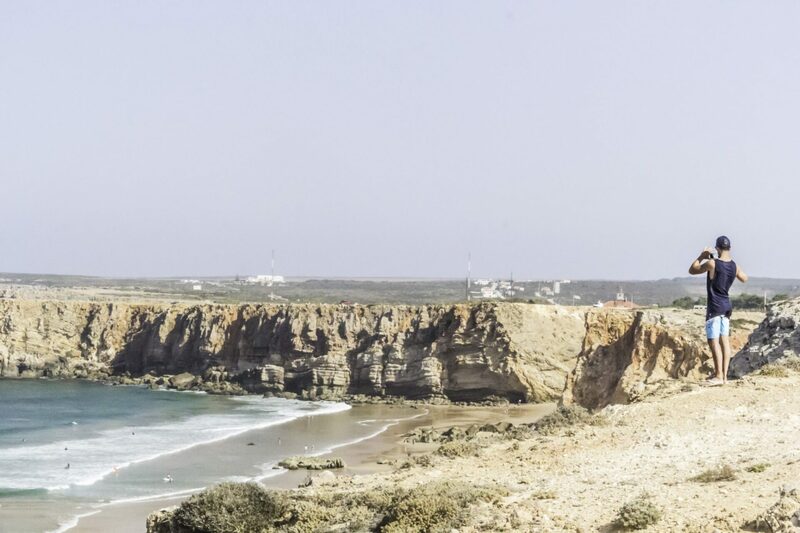 We had a very good time with wavesensations and in Sagres! Cannot recommend Wavesensation enough - fabulous with children too. BIG thumbs up from the Stewart family. Thank you. Excelente experiencia!!! Muchas gracias por todo!!! Repetiremos pronto!!! 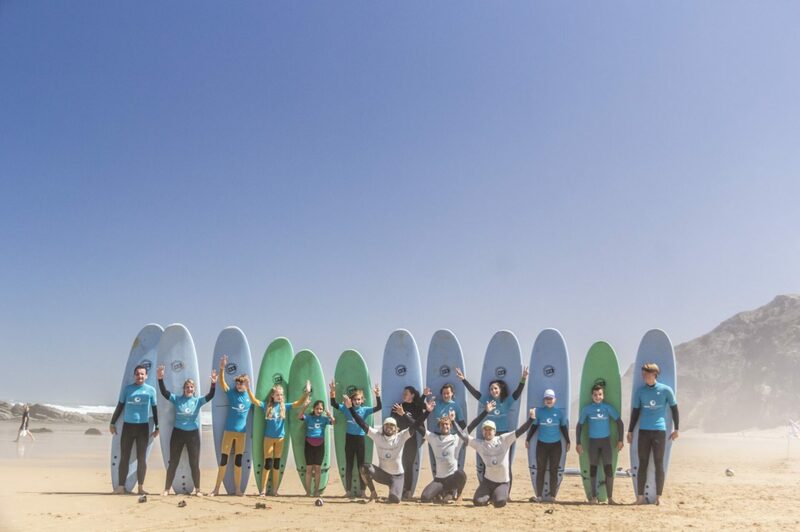 Excellent team, nice place to pass your holiday, instructor and all you need to surf are very good. Thanks to Carlos, Alec, Romeo and all the staff.